GPSA - GP Supervisors Australia | Should i be paying a leave loading? Should I be paying a leave loading? 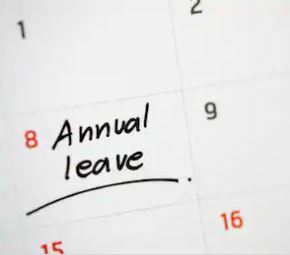 Paid leave attracts the same base rate of remuneration as in ordinary hours. We recently receieved a query from a practice whose registrar was wondering why they hadn’t seen the 17.5% leave loading they’d expected to see on their payslip. The registrar was new to general practice and the practice was concerned it had missed something important and wanted to make sure it was doing the right thing. The question that arose was, have we missed something in the NTCER? Are we doing something wrong? Do we need to be paying a leave loading? The Answer: no, no and no. A registrar who leaves your employ is likely never going to find another private practice willing to provide a leave loading. It is setting them up for dissatisfaction in the longer term. Your registrar once fellowed will likely not receive leave pay at all. The bonus is built in via the percentage, which is uncommon to most other disciplines. As an employer you need to think about the prevailing conditions that registrars will receive once fellowed. Fellowed GPs tend not to be paid leave at all. Once fellowed, if you want to be able to keep the registrar as distinct from losing them to another practice you might want to think about what scope there is to increase their conditions. If you are already paying leave loadings, a high percentage, etc. then from a business perspective you will likely not be able to offer anything higher and in fact, they are likely to earn less post fellowship – which is ultimately dissatisfying. Registrars, often coming to general practice for the first time, from the acute sector have only experienced working under the medical officers award in their state or territory. Each medical officers award includes a leave loading. This is not inconsistent with other awards your practice would have to observe, such as the prevailing nurses award in your state or territory which attracts similar loadings. For GP registrars however, once they leave the hospital and are employed by a GP training practice they are no longer employed under the medical officers award. They are employed with common law contracts which simply require that they are paid in accordance with Fair Work Legislation and the NTCER. Neither the NTCER nor Fair Work require the payment of leave loadings.